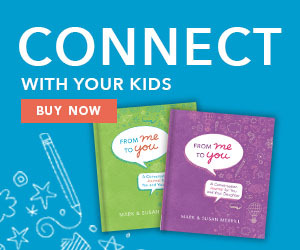 The founders of IMom and All Pro Dad, Mark and Susan Merrill, present a conversation journal created for the parent seeking to connect with their child. Dig deeper with this new tool. This journal is just for you and me…for our eyes only. And we’re going to fill in the pages with words, drawings, and random ideas. We’re going to pass it back and forth and write to each other whenever we want. I am so thankful to have you as a daughter and for the opportunity to take this journey with you! This journal is just for you and me…for our eyes only. And we’re going to fill in the pages with words, drawings, and random ideas. We’re going to pass it back and forth and write to each other whenever we want. I am so thankful to have you as a son and for the opportunity to take this journey with you! Husbands and wives bring different personalities, upbringings, experiences, and expectations into their marriage, which can lead to miscommunication and emotional turmoil. LISTS TO LOVE BY FOR BUSY HUSBANDS presents practical dos and don’ts along with step-by-step advice for husbands who want to bridge the emotional gap and improve their marriage. Mark and Susan Merrill understand that couples crave love, but don’t always know how to express it to one another. These thirty lists will carry husbands through an entire month of learning to love their wives more deeply–wisdom they will come back to again and again. These real-life answers from a Christian perspective will help readers evaluate, refresh, and strengthen their own marriage. For more book resources, click here. It’s no secret that there is a wide emotional gap between men and women. Couples crave love and attention from one another, but they don’t always know how to show it. LISTS TO LOVE BY FOR BUSY WIVES presents creative and practical ways for wives to bridge this gap and improve their relationship. These thirty lists will carry wives through an entire month of learning to love their husbands more deeply with advice they will come back to again and again. 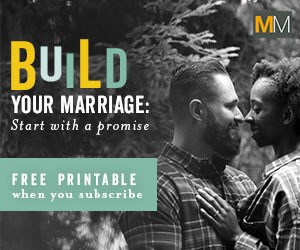 From lists addressing a wide range of topics, readers will learn to set better expectations for their marriage, to communicate more effectively with their husband, to build a deeper foundation of love in their marriage, and much more. For more book resources, click here. Like football, fatherhood is about winning. But it’s more than just scoring points. It’s about winning the hearts and minds of your children and leaving a rich legacy of love for future generations. 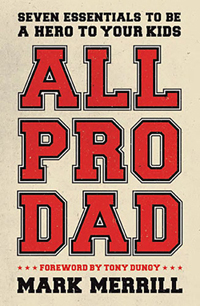 In my book, All Pro Dad, it lays out a game plan built on seven essential fatherhood truths and ultra-practical insights for the questions every dad needs answered at some point. This book will stir you, equip you, and inspire you toward the goal of being a champion father and a hero to your kids. All Pro Dad: Seven Essentials to Be a Hero to Your Kids is a Men’s Study I wrote to help lead men on an eight week exploration of fundamentals that will help every father expand his capacity to love and, in turn, lead in his most important job—- being a dad. Using the power of visual media, the best of storytelling, and small-group principles and practices, this resource will help men in the area where our culture most needs them: fatherhood. 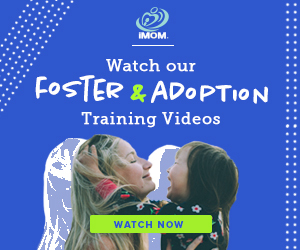 My hope is that it will help coach dads in how to be the kind of fathers we all want to be and give them simple tools to help interact meaningfully with their children.